Open source software is more secure because the code is made publicly available for anyone to audit. As a result, it has many more eyes reviewing it for potential security flaws. If the software isn’t made available for public review, then you have no guarantee it doesn’t contain harmful code that can compromise the security of your computer. Linux is open source and highly customizable. Most of its software is free and has been audited extensively by many programmers. Most viruses are created for Windows. The Mac operating system tends to be more secure than Windows but not as secure as Linux. Linux can be installed easily on any computers and versions like Ubuntu are easy to use. Make sure your computer is protected with a long password. Having a computer without a password is like having a house without locks on the doors. The great thing about Linux is that it requires a password to be able to download any software. Programs can’t execute automatically without your permission. When installing operating systems like Ubuntu you can add a second password to encrypt your computer. Your passwords need to be a minimum of 16 characters long with a combination of numbers, upper and lower case letters, as well as symbols. Brute force cracking programs are highly sophisticated and can crack most passwords with relative ease. Make sure you use different passwords for all your accounts and don’t save them on an electronic device. Write your passwords down on paper and make a second copy as backup. Firewalls are designed to stop unauthorized access to your computer. Surprisingly Macs have their firewalls turned off as a default. For Linux you can install a firewall GUI called Gufw in the software centre. 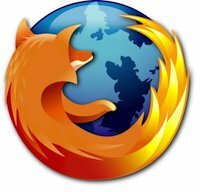 Mozilla Firefox is open source and has many add-ons to customize for enhanced privacy and security. Ghostery is a good ad blocker. No-script will block all scripts and let you unlock them individually. Startpage is an anonymous search engine. HTTPS Everywhere will encrypt your connection with webpages.